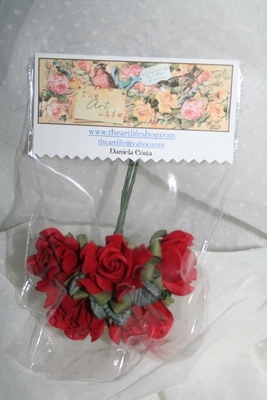 The Art Life Flowers are pretty new on the scene - they are paper and fabric flowers with wire stems. They come in a variety of sizes and are very realistic looking. They're definitely vintage-inspired but the colors are not all vintage - the bright blue and turquoise ones just pop! I'm going to have to confess up front that I am not a flower person - even though I do have a girl to scrap, I tend to avoid flowers on my layouts so this assignment was quite an interesting challenge for me! Ease of Use: These were very easy to use. They bunches of stems can be used together or individually. The wire stems was my favorite feature - I liked having the ability to bend them and that they held their shape. Durability: They appear to be very well made - I didn't have any flowers fall apart on me - even the ones that I dismantled. The quality is very good. Usefulness: Like I mentioned, I'm not a flower person - yet I was able to find many different uses for these flowers. I can only imagine what a true flower lover could do! Cost Effective: The flowers posted on the website are between $1.50 and $1.99. I have yet to come across more reasonably priced embellishments! 1. I really liked the range of colors - there was quite a variety in colors and I appreciated the fact that there were brights as opposed to all pastels. 2. Once I started to play with the flowers I really REALLY liked the wire stems. The flowers come bound together with what I assume is floral tape but they are easily taken apart and can all be used separately. 1. I'd like to see some leaves and not just flowers but again, that's because I'm not a flower person! 2. The bigger flowers and pretty bulky and would bulk-up any album, also makes them hard to scan - another personal preference thing. 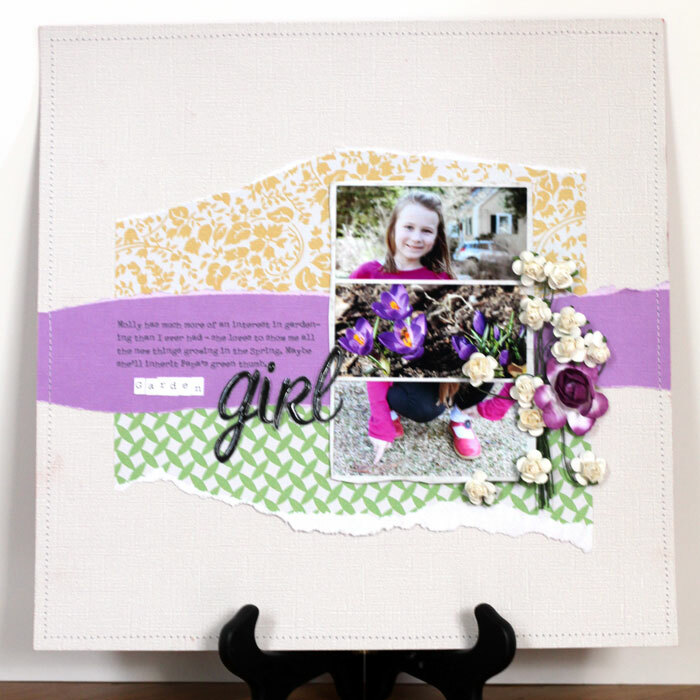 Supplies: Core'dinations cardstock, MAMBI patterned paper, SRM stickers, The Art Life flowers. Finally, the first thing I actually made. This was inspired by headbands that I've seen in Anthropologie and J Crew. I wrapped some individual stems around a narrow headband -- offset to the side, of course. All my daughter's friends want them now! Are you a "flower" person? Do these petals appeal to you? Leave a comment by midnight EST on Tuesday to be entered to win a prize pack from The Art Life! I love flowers--they're my go-to embellishment. These are gorgeous and I love what Paula did with them. I like flowers occasionally. I mostly scrapbook boys, so not a lot of use for flowers. I use them on an occasional page for myself. I really need these. 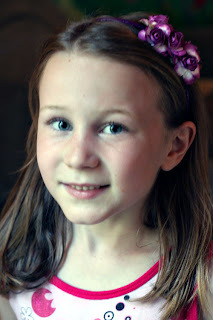 I have been looking for well made fabric flowers to make head pieces for my daughters, but everything seems to fall apart on me. I'm on the hunt for these now. They look very pretty! I don't care for a lot of bulk on pages or cards, but I do love flowers, and I often take them apart to use, so I think that these would work for me. Super LO---looooooooooove it! I love the embellies--great job with them:) I understand on the bulkiness....your card is super cute too:) THANKS for the chance to win! These are so pretty! I really really really like the headband made with them, that is FABULOUS! Plus, the little girl is sooooo cute!!! A girl can never have enough flowers! I love the headband!!! I really like flower embellishments, I haven't heard of this company before. They're very cute! I love the new flowers Prima came out with, but it sounds like these ones may be more cost effective than Prima's. I love flowers, but always have to grab myself in the neck to use them :D I would love to try those flowers, the wire stems sounds like a great idea! I love flowers, although, I don't get to use them very often since I generally scrap about my two sons! That headband is just too cute! Love the deep purple color! These came out really pretty - I love flowers and all my lo's are bulky so it doesn't bother me. Love flowers! And these are great! I went to the site and they have lots of different ones. I love them! I really like flowers... but I try to limit my use of them so that I don't have them on every layout. But they seem so versatile to me. These flowers that you showed seem to be really beautifully made! I could see myself using them all over the place! I love flowers and these are gorgeous! I would love to try some. Vintage looking flowers are my favorite style. 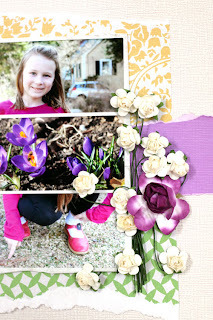 I love flowers and I would love to try to use these on my LOs of my daughter planting with her Dad in our yard! I like flowers and use them in moderation. Bulk is a bi tof an issue to me, but I really like the look and the price. I am a flower person, but they do bulk up an album pretty quickly so I mostly use them on decorative items or cards. These look lovely and I love what you did with them. Those are adorable!! And they look and sound so versatile. I am a huge flower user, bought, made or otherwise, I will try to use it somehow!! Paula's projects really showed them off and I fell in love with them! I understand not being a flower person. Sometimes I just don't know how to use them so I shy away from expensive embellishments. I like that they are affordable and want to try working with some. 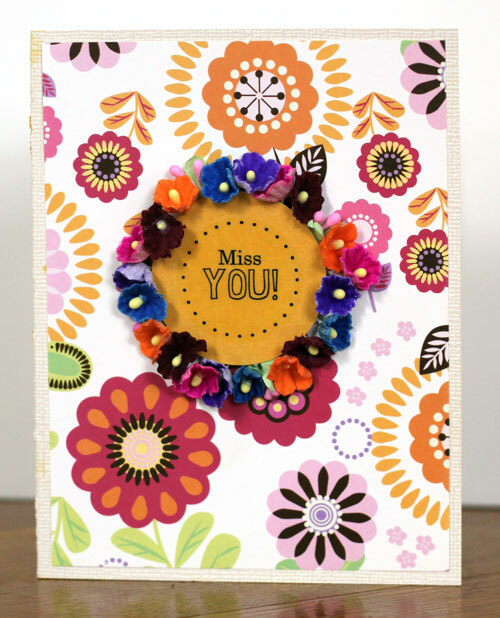 I use flowers all the time on cards and altered projects. These ones look fabulous and the price is great. Love flowers, use them a lot, but haven't tried these yet. Thanks fr a chance to win some! I am definitely a flower person and The Art Life is new to me. Thanks for sharing! And thanks for a terrific blog! Although flowers are not my "go to" embellishment, I do not stear clear of them either. I like the idea that they are fabric, I like the stems too. I also like the price!! I have not heard of this brand before, but I will keep an eye out for it in the future. Oooh, they're pretty! I love using flowers, but too much bulk makes me nervous. I look forward to seeing them in the stores soon! I am a flower person and I have seen some one receive these in a package on almond extract. I love, love, love flowers and have them on almost every layout and card I create. These would be fabulous to win. I love me some flowers! Thanks for sharing the crafts made with theses! The headband is darling! These flowers are awesome!!! I use the Art Life in my classes all the time!!! The owner is great too and has wonderful customer service!